If you receive the Southside Community News you will have read my article on the FWR Group visiting Fox Gully … otherwise see below. FWR (Four Walls and a Roof) Group is a clever team of individuals who help companies find real profit opportunities in looking after the community and envirionment. FWR Group is Peter Drucker’s words in action. 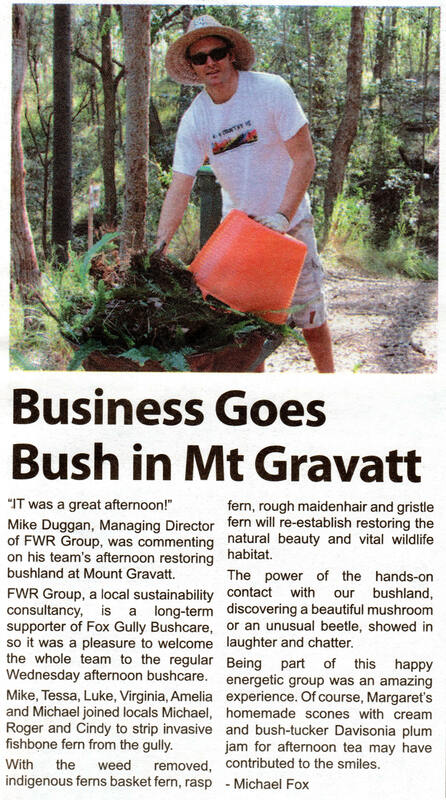 I am honoured to have this team working with us restoring our amazing bushland.